As I was looking around today online at some crochet and knitting patterns, I couldn't help but notice all of the awesome free crochet and knitting tutorials out there. Knitting and crochet is definitely the thing I am least experienced with in the craft arena but I've wanted to learn for quite some time now. I love looking through all the beautiful crocheted blankets my grandmother made and have fond memories of bundling up with some of them as a child. She made some gorgeous pillows, too. These things make such great family heirlooms. Unlike my grandma, I don't know anything beyond a single chain stitch but I can still gather up some great free patterns for some of you who are much more experienced. From small toys to wearables, I found a ton of really cute, free knitting and crochet projects! 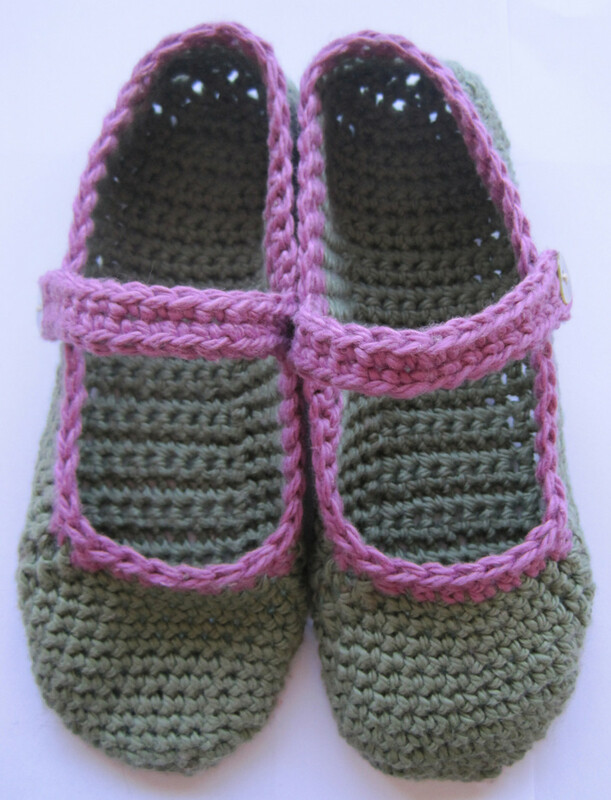 I really do love these cute crocheted house slippers, where the free pattern can be found at Little House by the Sea. Wouldn't these be cute with some buttons or some crocheted flowers attached? They look really cozy and comfortable. These would make such a great gift. 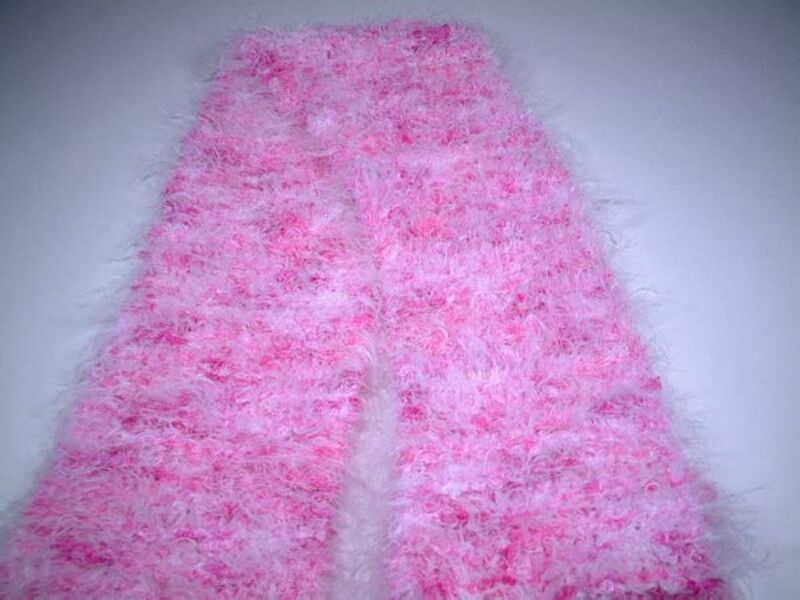 Look at this beautiful, flowing, ruffly pink scarf! I love this- can't believe there is a free pattern for it and they even have it marked as easy. Go to All Free Knitting to get the free pattern for this beautiful scarf. This will definitely be one I will try later on down the road when I learn a bit more about knitting. I really do love this. OH MY GOSH is all I can say! 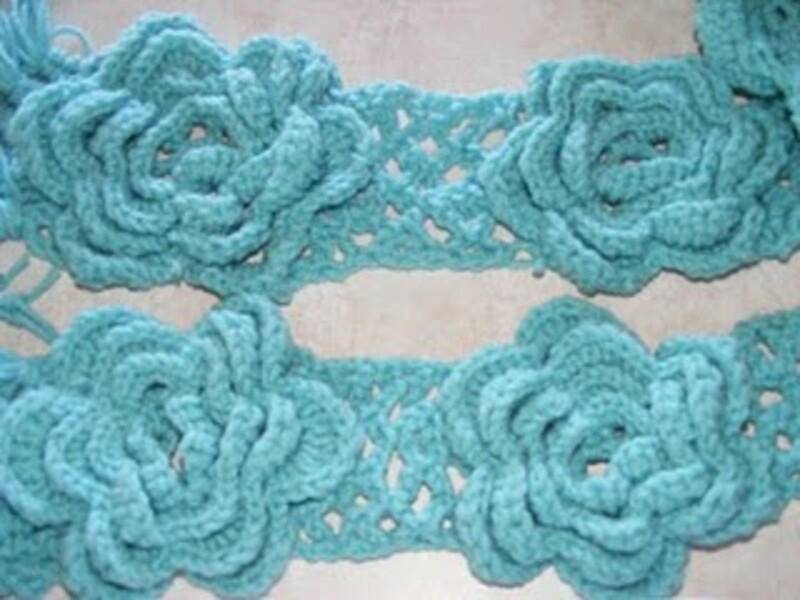 I can't believe how beautiful this flowered scarf is and that there is a free pattern for it. Don't you just love it!? I found this freebie at Maries Cozy Corner. 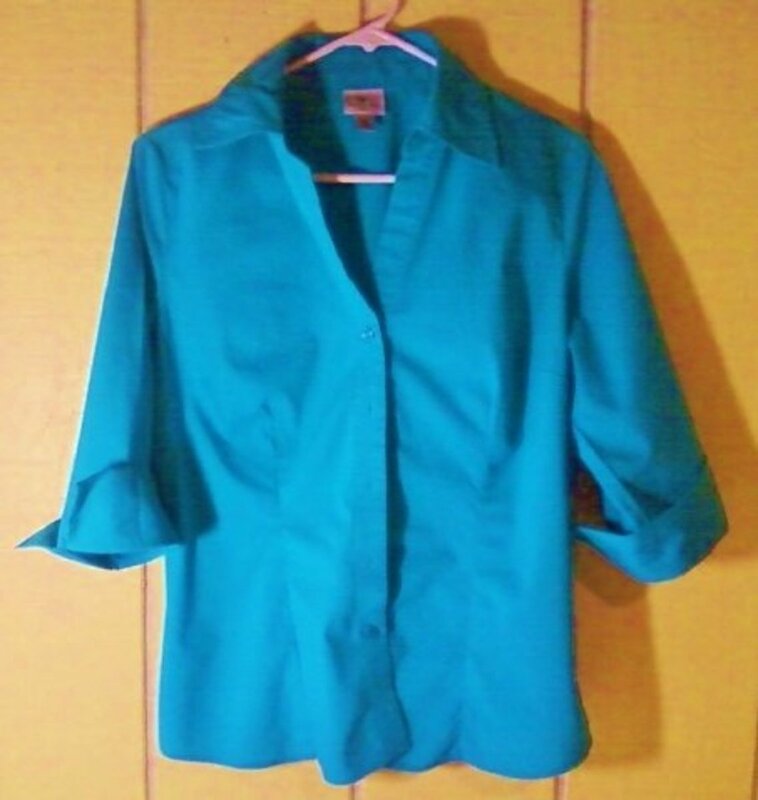 I love it in the blue but would be really cute in any color I think. 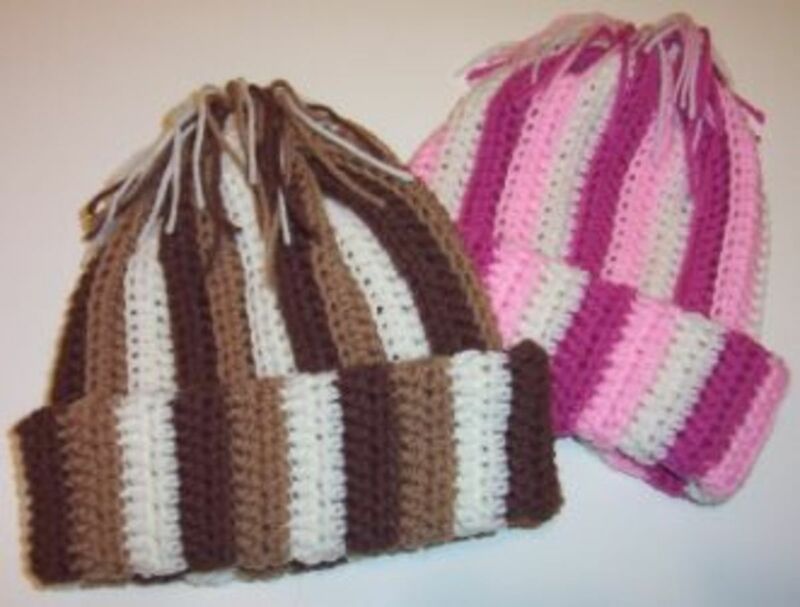 Look at this free hat pattern I found at Abigals Crafts How To. I love the style of this hat.. They call it a Berry Pie Beret. So cute! Another hat, I just love hats! 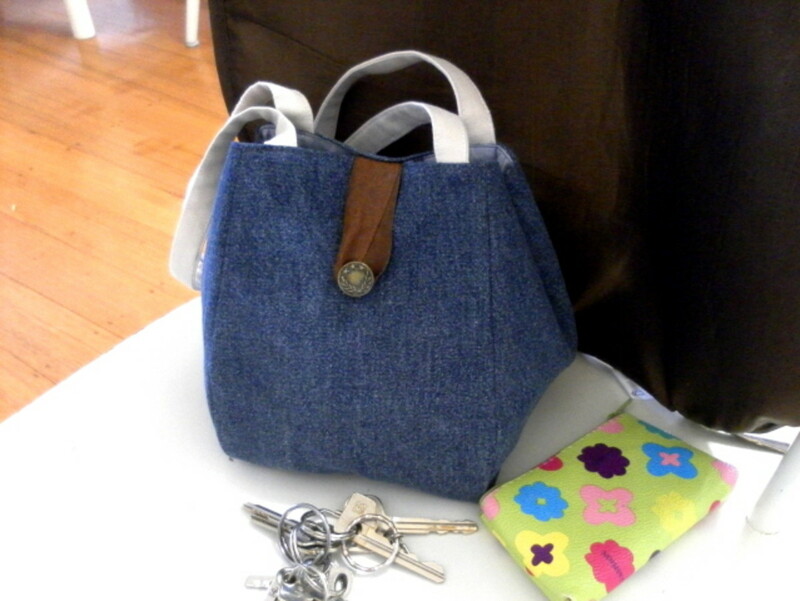 I love the look of this one made by dansk at Craftster.org. Kind of reminds me of the flower embellished scarf up above.. She posted great instructions right down to the flowers and embellishments on the crocheted hat. This is a knock off of the Anthropologie Cloche hat. 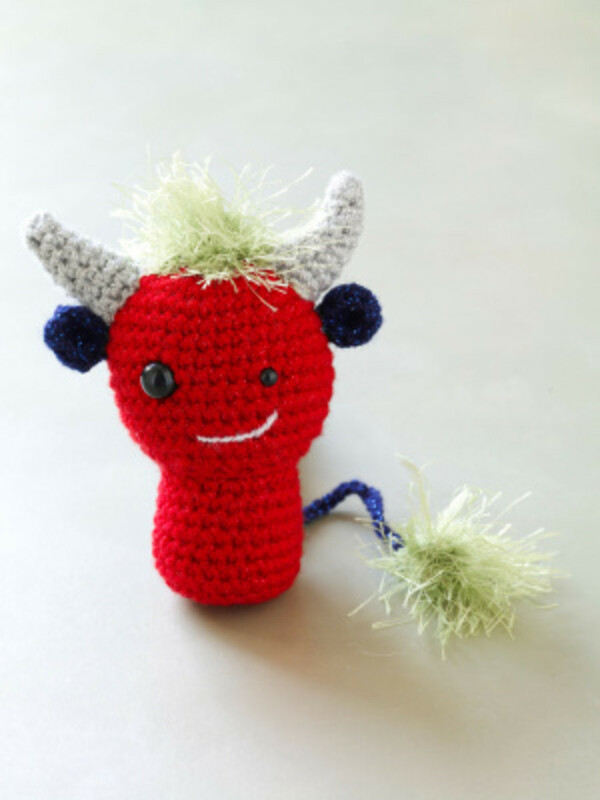 Gotta love this cute little devil with the free pattern at Lion Brand. This place has TONS of great free crotchet, knitting and craft patterns. You will need to sign up first but it's easy and quick. It took me less than a minute. I was quite surprised at the sheer volume of really cute free patterns there for all of you crocheters and knitters! 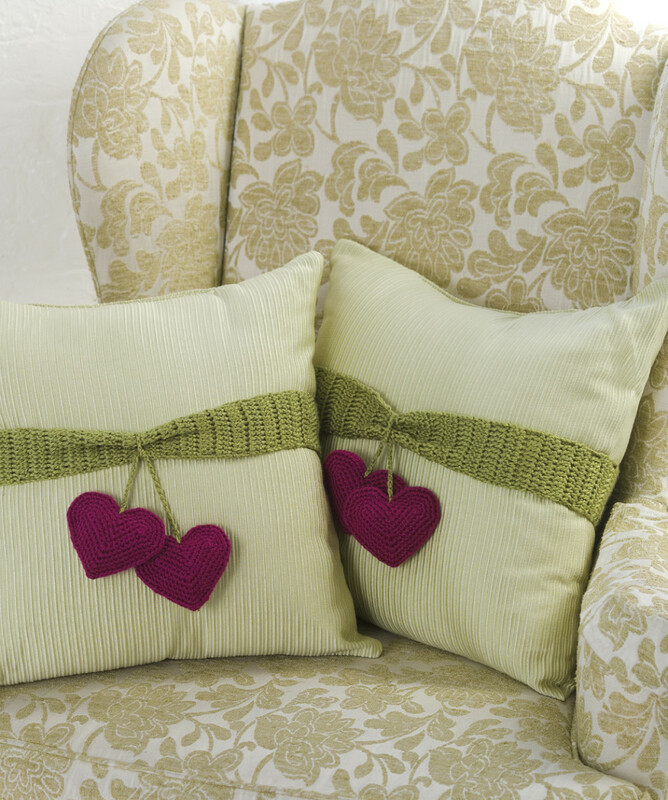 Go to redheart.com where you can download the printable instructions for these adorable Heart to Heart pillows. Who doesn't love a heart pillow? 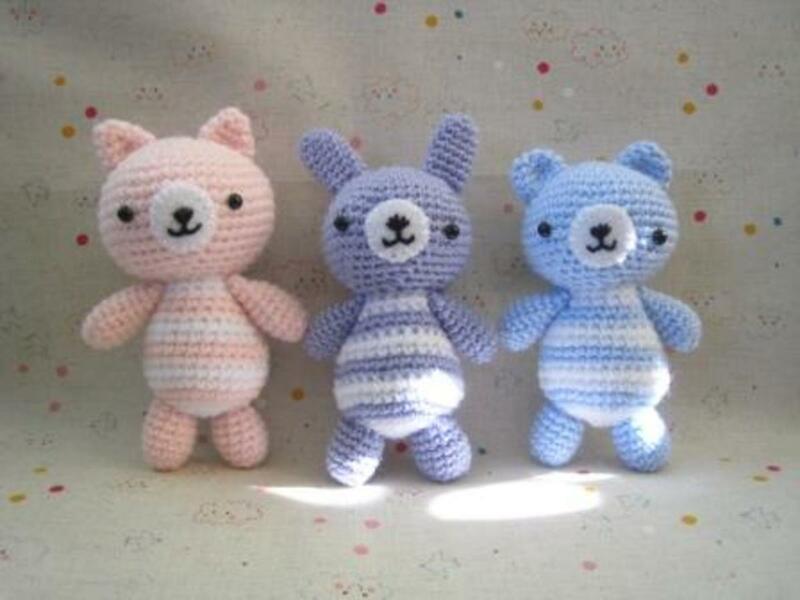 Found the free pattern for these cute tabogans over at Free Craft Unlimited. These look like they may be on the easy side to make.. but they sure are cute! Can't help but picture them with some little flowers attached or something like that. A cute free scarf pattern at Numei.com. what do you think? I was looking in Wal-Mart and they have quite a selection of this fuzzy yarn. It's so soft. I bet you could probably whip up a matching hat in no time. 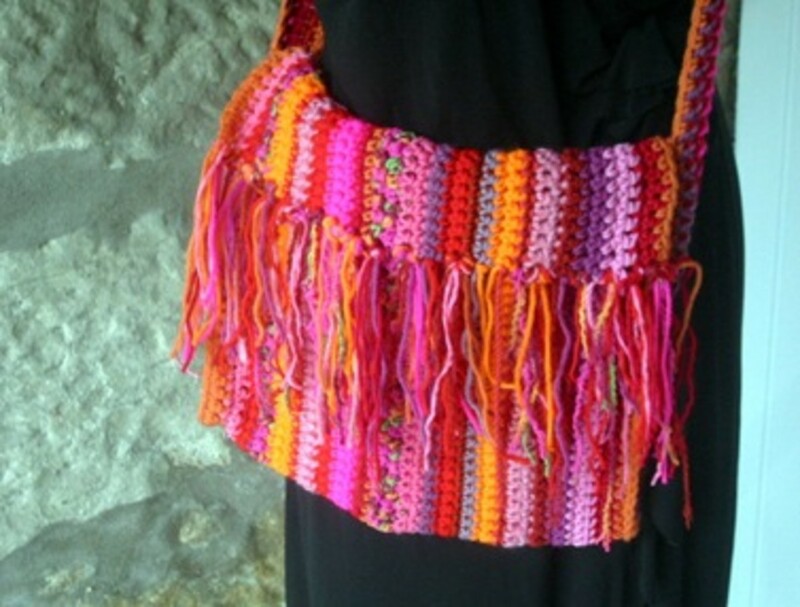 Look at this beautiful artist satchel complete with free crochet pattern at The Daily Crocheter. They also have one in red, white and blue that was really pretty. I love the fringe on this- really cute! 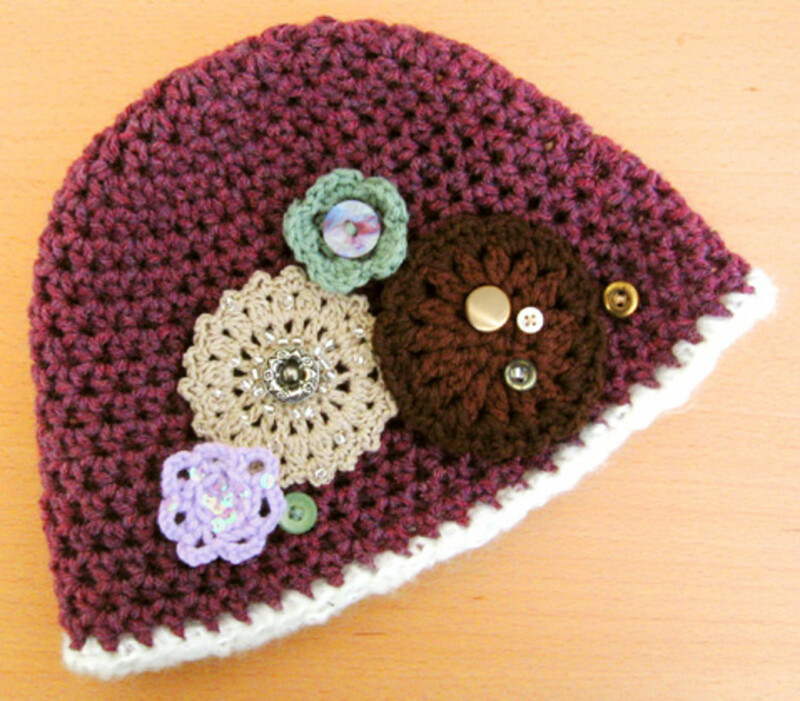 Visit Curls of Sunshine for some great freebie crochet patterns. I LOVE these cute little animals. 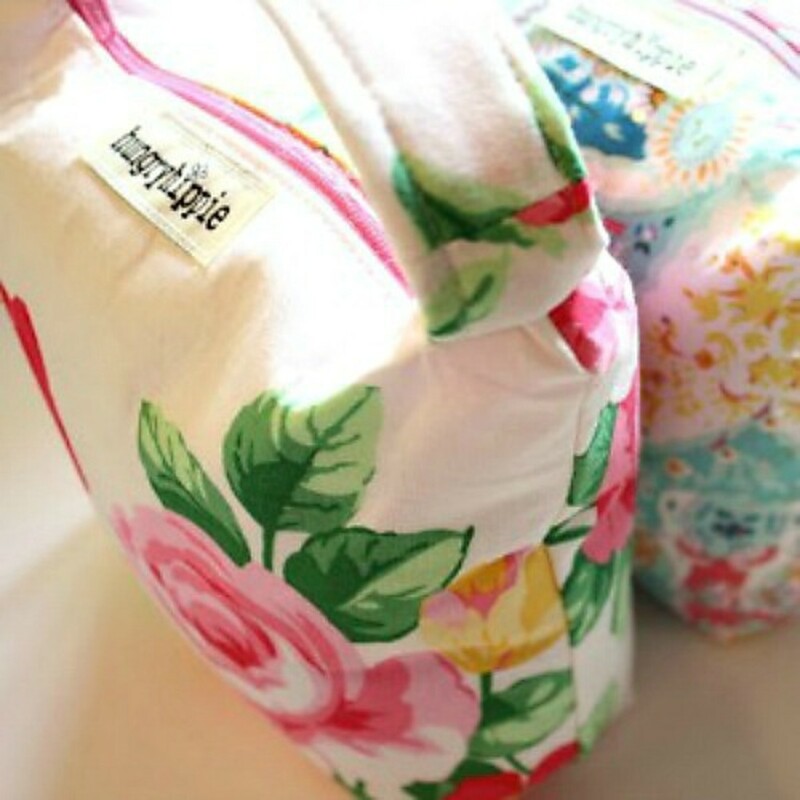 She has some other really cute stuff as well.. be sure to check it out. Okay, one can never have too many hats, right? 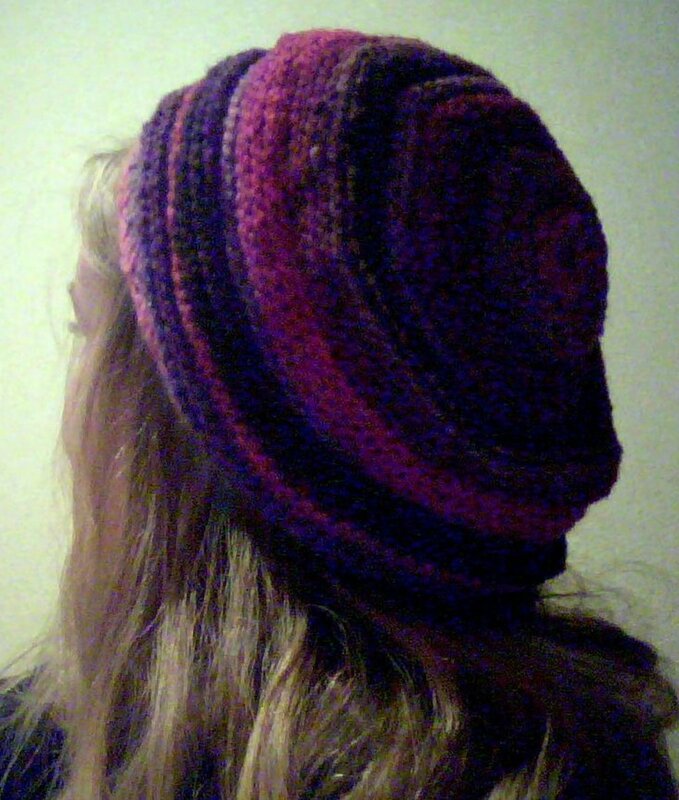 I love this hat with the free pattern found at Alarming Female. They call it the Big Funky Hat! 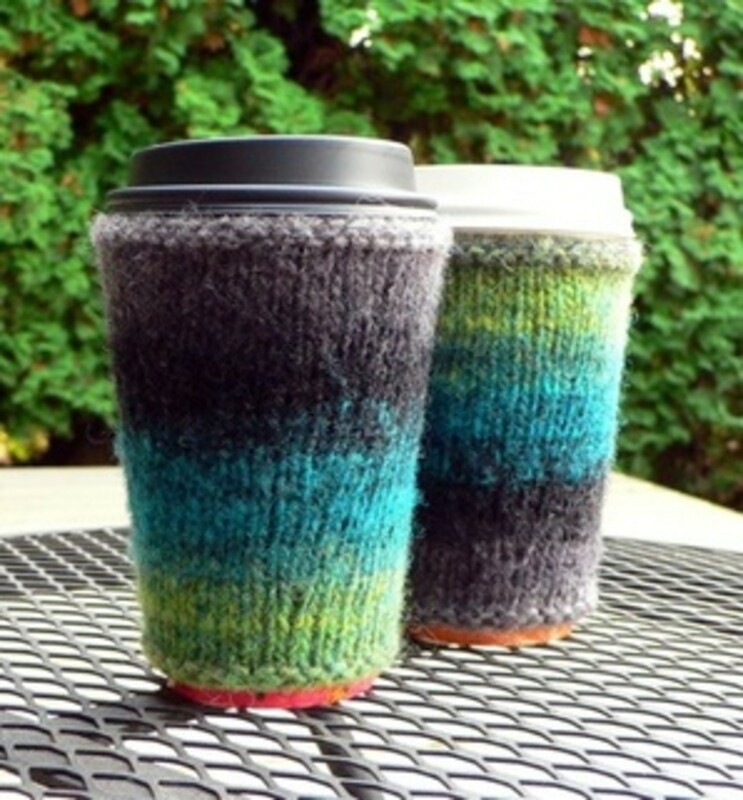 These hats are really popular right now..
At Mimoknits I found this nice tutorial with pattern to knit a nice coffee cozy. I love the colors used for these. Very cute! 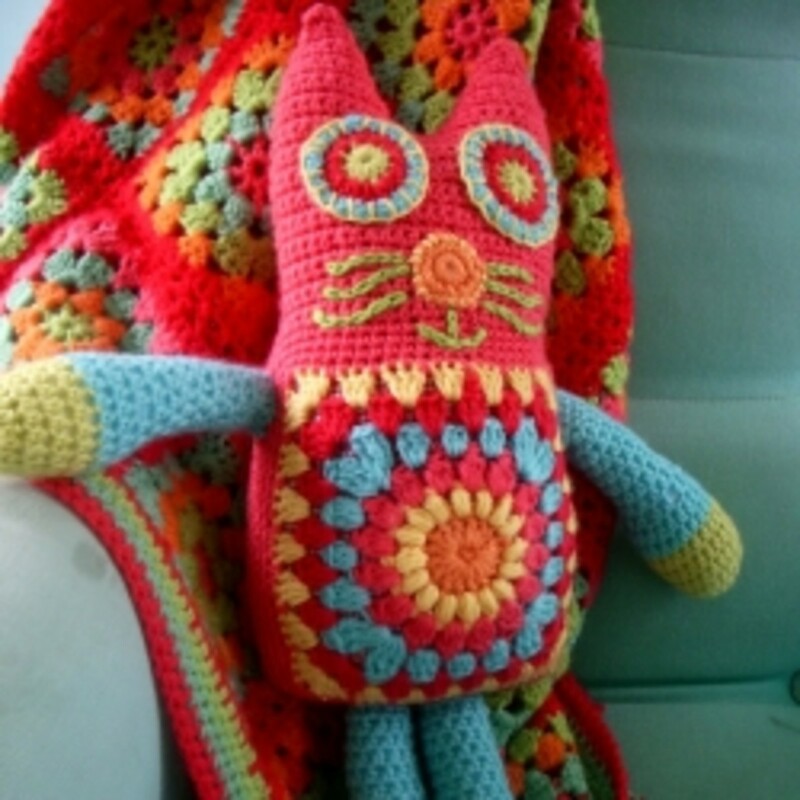 Before I end the hub I want to inlude this link for Crochet Pattern Central. There are tons of free projects (anything you could possibly think of) there and it's definitely a place checking out if you are looking for some great free patterns. I hope you have enjoyed this hub and I have inspired you with some of these cute projects. Finding all this cute stuff actually inspired me to want to learn how to knit and crochet more than ever so to help myself out (and hopefully others) I plan to compile a hub with a list of free patterns for beginners in the near future. So until then..
just when I was tired crocheting afghans, your hub has filled me with many ideas. Vote up! Sunshine- Thank you for reading and commenting :) I'm so glad you liked these! very nice. Thanks for all the links. I love crochet. Its very relaxing. Hi vocalcoach! What a nice comment, thank you so much. Yes, I agree.. I LOVE the scarf and hat above that have the crocheted flower embellishments..they really are amazing and so CUTE!! They have a sort of vintage look to them. I really tried to look for things that were a little out of the ordinary. Wow.. you are in Nashville, TN! How awesome is that.. would LOVE to visit there one day. I wonder if it is scorching hot there like it is in Texas today (or this past 2 weeks for that matter!) Would love to visit TN for sure.. looks so pretty there. Thanks again for the very sweet comment! Well, you angel, you - You have done it again. Bookmarking this as a favorite. I want soooooooo much to learn how to follow patterns for knitting and crocheting. I just knitted my last row on a potholder, and haven't a clue how to finish it...urgggh! If you run into a video that teaches this - puhleeeze let me know. I went crazy for the photo on the "jewelry framed organizer" Coming in 2nd, was the "Anthropologie knitted hat" and the "flowered embelished scarf" is amazing! I love your motivation as it seeps up throught the written word. Heck - you've got to come to Nashville, Tn! have fewer resources to address these wonderful crafts. I mean, although I would like to knit or crochet I can not find perfect material (wool) suitable to my needs. 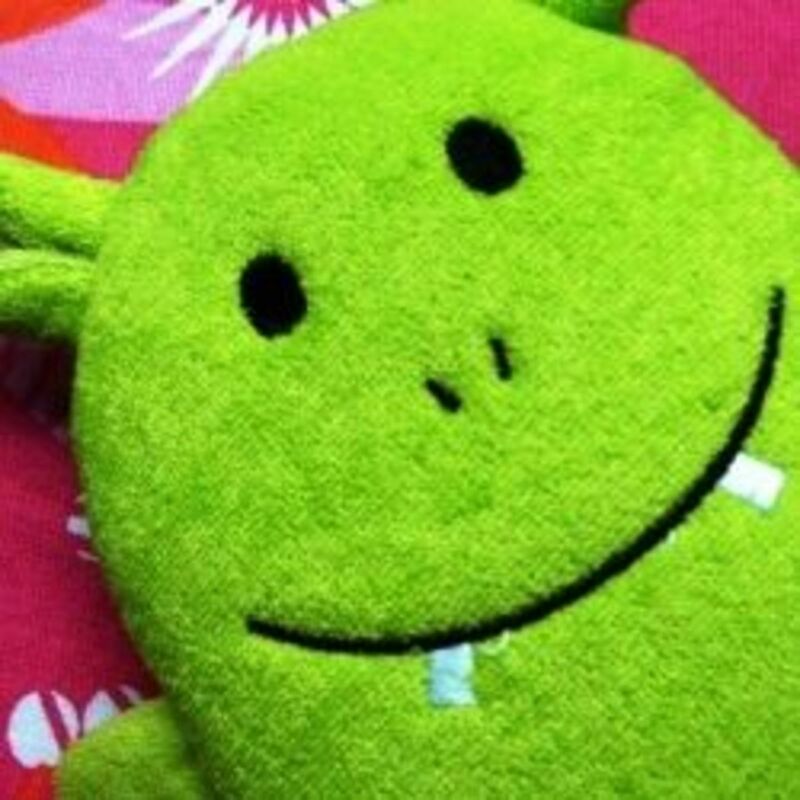 @LULU SUE: You are welcome, thank you for commenting! Thanks, I love to knit. Enjoyed your hub. Crochet and knitting are really enjoying crafts to explore but, we have less resources to try these wonderful crafts. I mean though I would like to knit or crochet I can't find perfect materials(wool) suitable to my needs. We always have to buy low quality as well as unpleasant colored wools in our area. In that point, I envy with you. By the way, thanks for your wonderful hub. kashmir56, Thanks so much for reading and voting! I really appreciate it. heavenbound, Yes, I agree! I've been thinking about it for a while but my goodness these things look so hard to do but I be maybe we could do it. 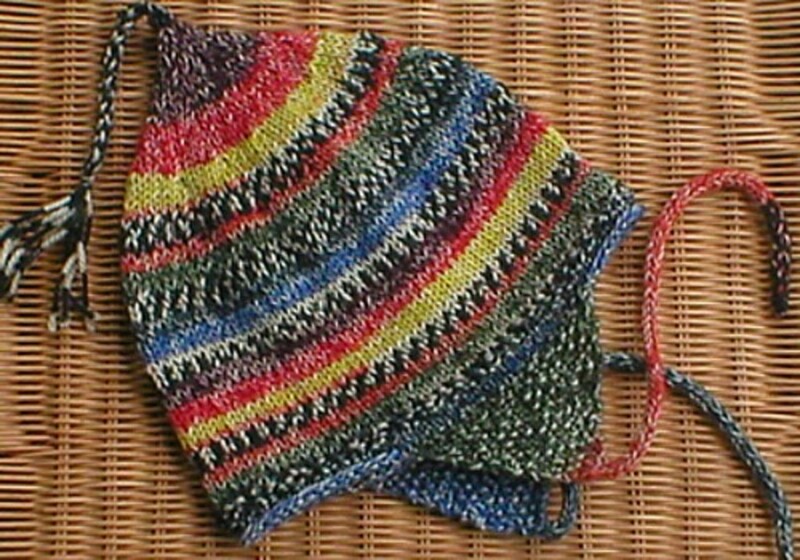 I haven't done any knitting for ages, well since the kids were little, but have been thinking about it lately. I will bookmark this hub to see what I want to make. Thanks. Never did master crochet, but never too late is it. Very nice and makes me want to learn how to crochet! Hi Jamie, All great Knitting and crocheting ideas illustrated by your beautiful photos . My mom was very good at knitting and crocheting she could make anything . 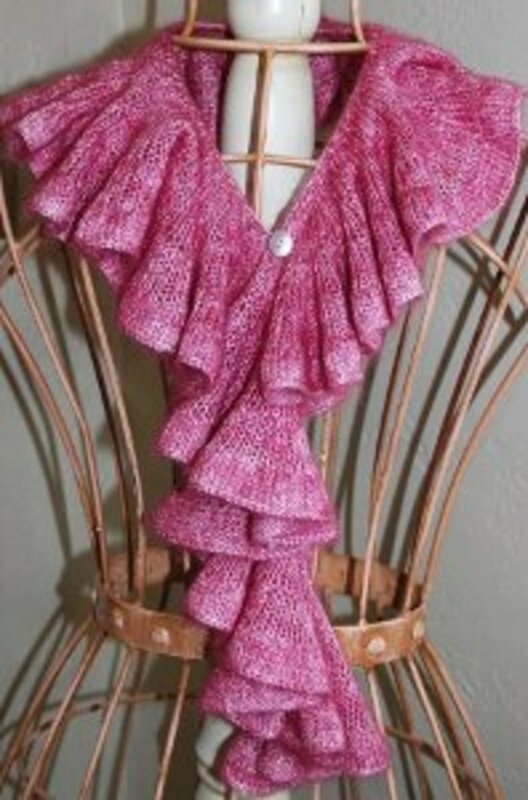 Oooh, that ruffled scarf makes me want to stop everything and crochet! Thanks for some nice projects. Knitting and crocheting are a couple of crafty areas that I haven't explored yet either (and probably don't need to as I already have a billion other crafty interests). But this is a great collection! I'm sure that knitters and crocheters will find something here that they like. Really great ideas. Nice hub! I love that scarf! Voted up and beautiful!